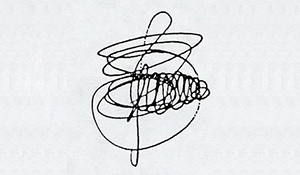 Individual Handwriting Analyses - Pentec, Inc.
A handwritten signature is like a handshake. It makes a first impression. 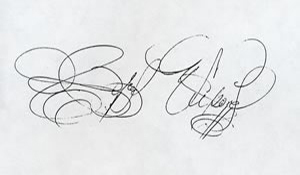 From the lively and dynamic to the intense and flamboyant, the signature is a revealing expression of a person's unspoken character. An assessment of your handwriting will provide you with insight into aptitudes, motivation, thinking style, sociability, feelings, goal-orientation and behavior in relationships. 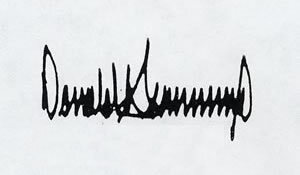 For an analysis of your handwriting, please complete and submit the Written Information Request Form. Analysis is available by voice recording (30 or 60 minutes) or in written format with follow-up questions. Please contact Pentec for pricing information. 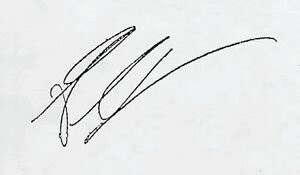 Even without a knowledge of the science and art of handwriting analysis, what do the following signatures disclose about the character of the following five people? 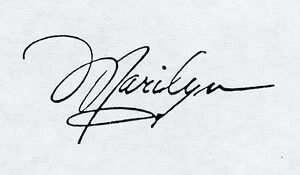 Start any conversation with Marilyn with a compliment, by her large capital M we know she thrives on being the center of attention and she is attracted to the unconventional as seen in the loop on the y. Strong, dynamic, private and guarded about how he spends his time and money as seen in the angular, upright and tight writing. This man wants to have the last word as seen in the last letter. Original, smart and looking for a stage, this powerful, aggressive attorney doesn't take no for an answer as seen by the size, speed and force of his strokes. Creative, imaginative and unfettered by convention, as seen in the loops and high form swirls, this accomplished musician makes the world sing. A star on ice, this creative, skater can spin circles around her competition as seen in the wonder twirls and artisitic expression of the letters.